Located in the Southern zone of the city about 5 km. from the center this incredible landscape of rock cones, valleys and pinnacles resembles the landcape of the moon that was etched in rock over thousands of years by simple rain and wind erosion. 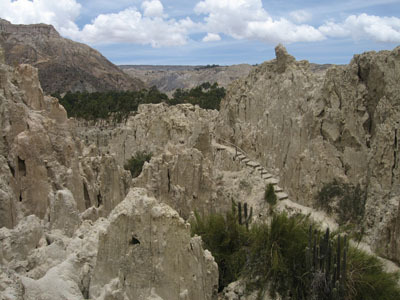 Various trails exist that descend or ascend to the center of the valley and present stunning views. Visitors may see lizards, and the strange viscacha that looks like a cross between a rabbit and a fox. The subterranean tourist information center provides geological information and maps of the hiking trails. 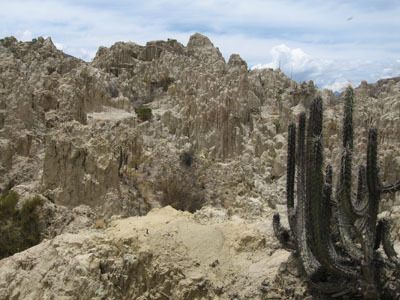 The way to the Valle de la Luna leads visitors to the “Cactario” a remarkable area that boasts 32 different species of cactus in their natural habitat. 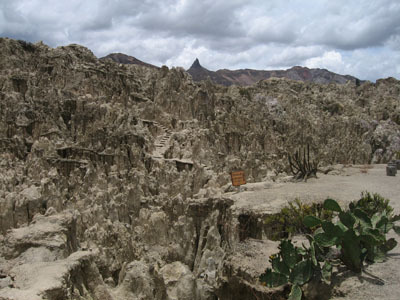 This natural garden offers great views of the rock formations of the Devil’s Molar.